Check out this amazing Cutting Guide fat loss transformation from Joe Watson! The lad has absolutely smashed it here; with 45kg of Cutting Guide Fat Loss and increased lean muscle mass and strength as a bonus! We are so proud of Joe’s outstanding work to totally transform his physique and health, and give him a new lease of life. Check out another amazing weight loss story here from an equally inspiring young chap! 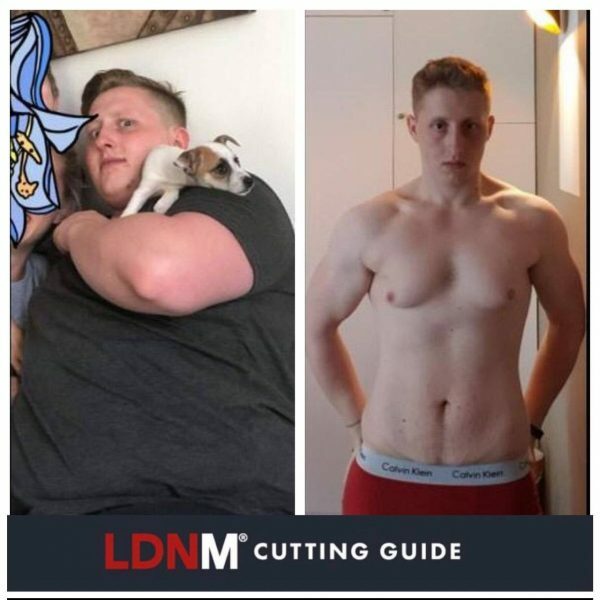 “LDNM is more than just a training program; it educated me on the importance of diet and creating calorie deficits without forcing any sort of fad diet. Physically I got stronger, whilst losing body fat and got some crazy results! My start weight was 130kg and my end weight 85kg! I used to wear oversized clothes to hide my body, but now I’m proud of everything I have. I recommend to give LDNM a shot at whatever level you enter as the programs have beginner, intermediate and advanced schedules – and every exercise has a video! 45kg down over 10 months your plans are something else thanks guys absolutely changed my life! Fully comprehensive 15-week diet & training plan, to shred fat and build lean muscle. All new interactive online platform; exercise video demos, live and saveable workout tracker, built in Spotify playlist and more. Beginner, intermediate and advanced diet and training options, and suitable for shift workers too. Designed specifically to work around busy work, family and social lives. Separate training plan for home workout users. Unrivalled personal support & motivation comes as standard.